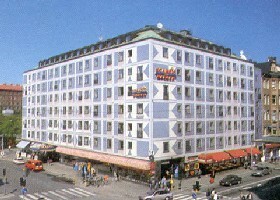 Scandic Malmen is at Medborgarplatsen Square, in central Stockholm vibrant Sodermalm district. 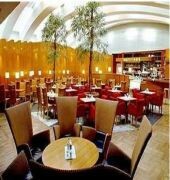 It offers modern cuisine and no less than 3 popular bars. 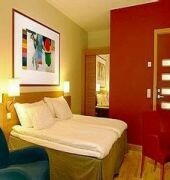 All rooms have a flat-screen TV and free WiFi. The guest rooms include a work desk, cable TV access and a private bathroom with shower. An ecological breakfast buffet is served each morning. Malmen Bistro serves a menu inspired by street food from around the world. Two of the bars offer regular DJs and live music. 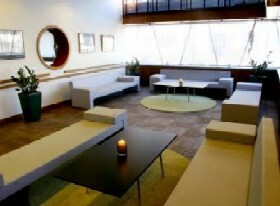 Guests at Scandic Malmen Hotel have free access to the hotel's gym. The lobby shop sells snacks, drinks and toiletries. Medborgarplatsen Metro Station is right next to the hotel, and Central Station is just a 5-minute metro ride away.